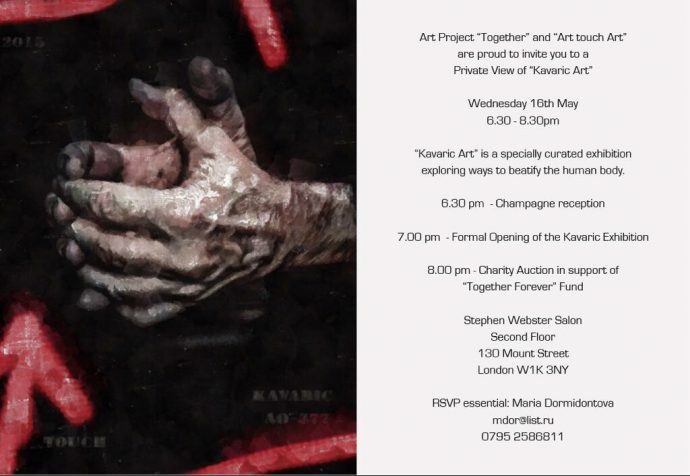 “Hands”, a small collection consisting of eleven works of Montenegrin artist Nebojsa Kavaric will be exhibited on 15-20 May in the art space of renowned jeweller and art collector Stephen Webster in the heart of London. Since the ancient times image of a human hand was recognized as a symbol of protection and God’s blessing. 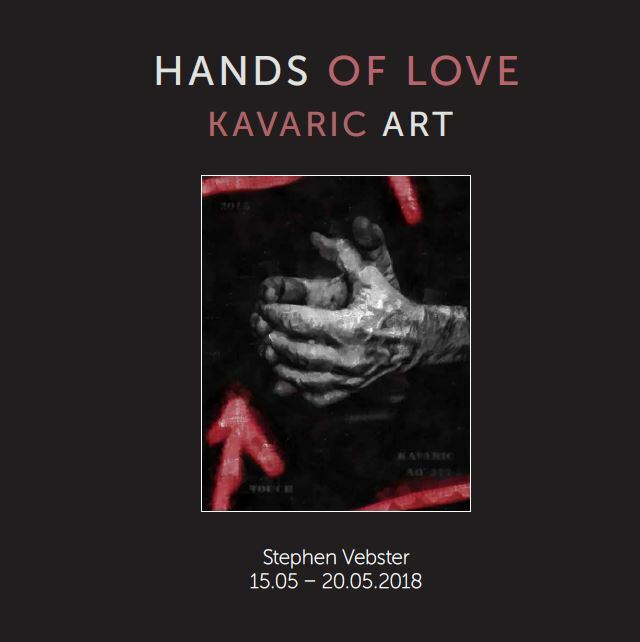 Kavaric paints human hands like portraits, trying to show the soul of the person, as the hands have so much to tell about its owner. 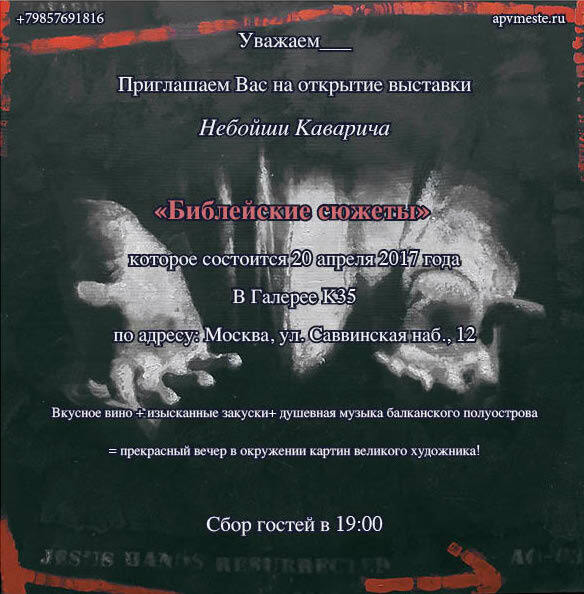 For example, hands of Kavaric himself are the hands of both a painter, and a doctor who dedicated his life to curing children. Yes, Kavaric is a renowned pediatrician, the head of the main hospital in the capital of Montenegro, who faces the fragility of human and especially child’s life every day. “For me children are a symbol of inspiration. A child is the most powerful energy transmitter. His single touch, a single tear has the power to change the world and the course of history,” – says Kavaric. He expresses his feelings of a man who constantly witnessed the border between life and death through his art. The artist creates his pieces in an unique technique that enables him to transfer the live energy to a work of art. He paints with fingers, putting thick layers of paint and takes up the brush only at the final stage. The main theme of his paintings is love: a mother’s love for her child, a man’s love for a woman, a man’s love of God. 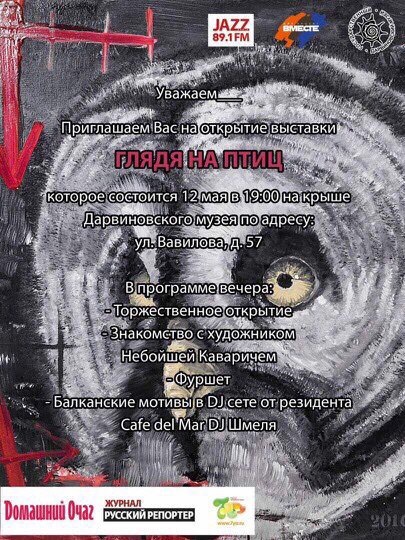 Artist says that he “lives two destinies between life and death, love and suffering”. This life-long drama gives beginnings to his monochrome paintings filled with cosmic energy and secret meanings, when black and white stand for fear and courage, and red stands for love and life. Many works are dedicated to the intellectual and social role of Art in the XXI century, but still for most people Art means emotions and the energy they receive when communicating with art objects, paintings, photos or sculptures. 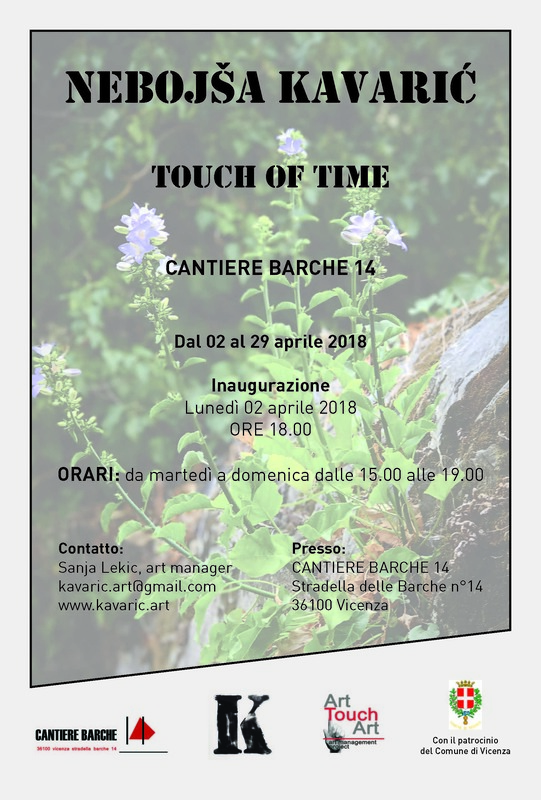 In the artistic field of XXI century Nebojsa Kavaric’s work goes beyond the borders of an art object, becoming the source of life-giving creative energy. The official opening of the London show is on 16th of May. 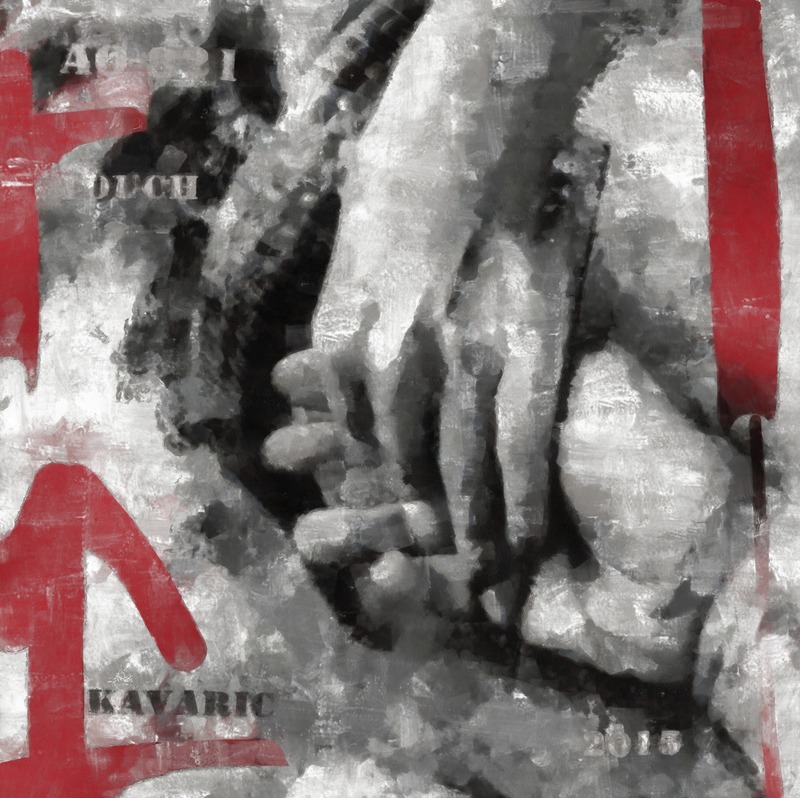 To see ‘Hand of Love’ exhibition write to Maria Dormidontova: maria@artunwrapped.co.uk.